Behind every great business is a great team, but fostering a cohesive group can be a challenge. All too often people think throwing a bunch of people together and calling them a team will get better results. Usually what happens is the dedicated, hard workers end up doing more work and the slackers get to do less. Assessing your team and actively implementing change are both keys to taking your returns to the next level. Meet Sinead Kane and John O’Regan who show that a good team achieves winning results. Sinead Kane & John O’Regan joined forces back in December 2014. This was after Sinead had completed her first attempt at the Marathon Distance in October 2014. John spotted potential and thought that Sinead might be an untapped talent so he suggested that she try a longer race. John is the International Teams Coordinator for Ultra Running with Athletics Ireland and has captained the team at World Championship level. John not only became Sinead’s guide runner but also her coach and team mate. As John says: ‘To make the dream work you have to have team work.’ Sinead needs a guide runner because she is registered as blind. She just has 5% vision. Sinead may lack eyesight but she can fully see where she is going in terms of her goals. In February 2015, Sinead and John successfully completed a 50K race. Since then Sinead has ran two* 12 hour races and ran a distance of over 100K and finished in second place on both occasions. In November 2015, they took part in an extreme high altitude race in the Atacama Desert of Northern Chile called the Volcano Marathon. It traverses Lascar Volcano which is possibly the most active in the region. In January 2017, Sinead and John took on the World Marathon Challenge. 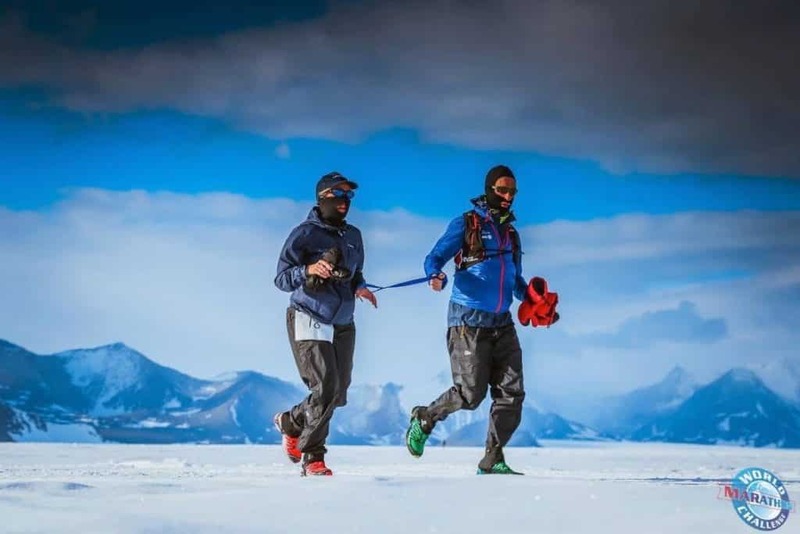 This is an amazing logistical and physical challenge to run a Marathon on each of the Seven Continents within Seven Days. They successfully completed this challenge which included 59 hours of flight time, 43,509Km flight distance as well as 295Km of running. They passed through 15 time zones and survived on very little sleep. But these events don’t just happen and their story is one of Team Building and Team Work. Coping with these extreme challenges isn’t easy and getting the job done requires all the attributes you would associate with keeping your business afloat. What your audience will take-away? Sinead and John will share what it means to be a winning teammate – and will help your people increase their value by improving their awareness. Understanding team dynamics and what makes them work can lead to greater innovation, increased profit, and happier employees. A good team, powered by diverse experiences and expertise, is inherently more innovative and driven. Many things can make a company struggle; vague vision, poor customer service, weak sales practices, etc. Ultimately however, the quality of your company will depend on the quality of team building within the organisation. Sinead and John’s teamwork speech will look at the real issues of developing a winning team. Issues addressed include: what to do with people who do not want to be team players; finding individual strengths and maximizing them for best results. You will learn problem-solving methods to optimise team effectiveness and get the tools you need to achieve superior results with your teams. Learn how Sinead and John have overcome adversity and listen to their real life examples of problem solving, resilience, conflict resolution and most importantly, learn how they get the job done. Sometimes you do your best and other times you do what is necessary.